Let’s talk a little about model homes….what makes them so desirable? The best answer to that question is that model homes depict a desirable lifestyle. We all have specific tastes when it comes to our décor and yet, although a model home might not show the furnishings that would, normally, appeal to us, one can’t help but want to run home for some clothes and toiletries in order to move right in! The majority of today’s buyers are looking to “trade up” to a better style of living and that would include people who are downsizing in search of an easier way of living. There is an important psychological component that needs to be addressed when staging a house for sale. People buy houses based on their emotional response to the property. When we stage houses, we view each as an original “client” and must determine who the targeted buyer is, what lifestyle they are desiring and what style of furnishings best speaks to their emotions. Generally, we can accomplish this through careful editing of the sellers’ furniture and accessories while adding many touches of décor that produce the desired effect. Sometimes, however, we need to “start over” with the design for a particular room or rooms. In those instances, we either bring in furniture and accessories to rent or the seller may want to purchase the needed items to use in their new home. A model home is never cluttered. You don’t see trash cans, toilet brushes or plungers. There is never a pile of mail or paperwork and the “children” who live in a model only have one stuffed animal and few, if any, toys. Closets show as spacious because they are generally empty, which also leads one to perfectly clean laundry rooms! 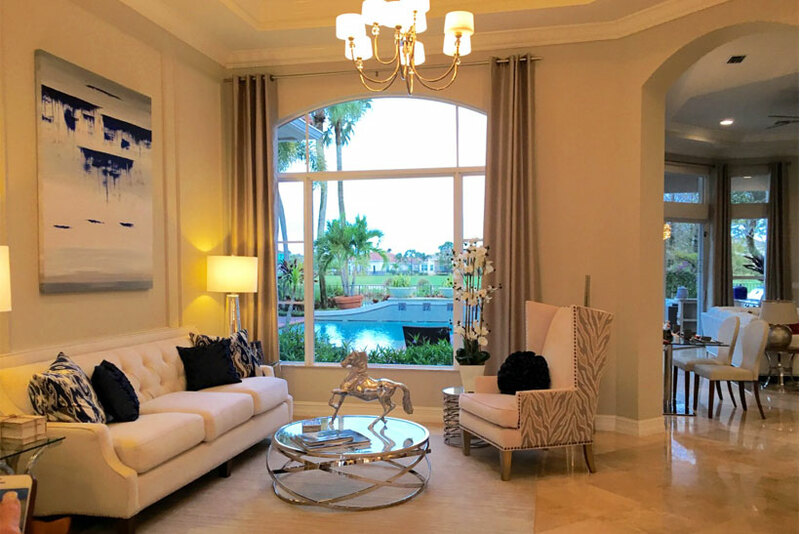 While it is understandable that it is nearly impossible to live a true “model home” lifestyle on a daily basis, it is possible to adopt most of those principles when selling your home. Purging, organizing with baskets and storing excess items off premises are all ways to accomplish that. Each family member should have a basket or multiple baskets in which to store items needed on a daily basis. In turn, the baskets can be easily stored in a cabinet or closet. The listed house should always be ready to be shown at a moment’s notice just like a “model”. For the majority of sellers, the family home is their most valued asset. In addition to being priced correctly and marketed wisely, a home for sale needs to compete with all of the other houses that are similar in size, style and price and, therefore, that “product” needs to outshine the competition in order to sell quickly and at the highest price possible. Does your house have that “model home” quality?